Imagine a big check list on a white board somewhere in RIM's Waterloo HQ in Canada. Every time the manufacturer accomplishes something that brings it closer to the January 30th release of BlackBerry 10, CEO Thorsten Heins takes a marker and draws a line across the specific task that is now done with. If this little scenario was real, Heins would have crossed off another task on Tuesday as the gold version of the BlackBerry 10 SDK tool kit is now available to be downloaded by developers. Developers now have access to the final APIs as they write apps and RIM's presser cites a survey as showing that 58% would recommend BB10 as a development platform, a 123% increase from May to October. RIM reminds code jockeys that they can use Cascades to build "visually stunning applications" that offer deep integration to other BlackBerry features such as BlackBerry Hub.Those writing with HTML5 can use BlackBerry WebWorks to write apps that offer native-like performance and deep integration with core features. At the recent BlackBerry Jam Asia conference, the company displayed over 70 new apps including ones from Fox Sports and MTV. RIM doesn't expect to offer 700,000 apps for BlackBerry 10 at launch and immediately compete with the Apple App Store and Google Play Store. CEO Heins has already said that when it comes to app stores, size doesn't matter. RIM's game plan is to have the top 200 to 400 apps available for each country and each region. But will that be enough to satisfy smartphone buyers who are accustomed to choosing from hundreds of thousands of apps, even if many are useless? 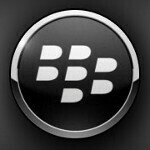 [/PRESSRELEWaterloo, ON – Research In Motion (RIM) (NASDAQ: RIMM; TSX: RIM) today released the "gold" build of the BlackBerry® 10 developer toolkit. The "gold" build includes all of the final tools, components, and APIs that will enable developers to create integrated, social and beautiful applications for BlackBerry 10, and have the confidence that their apps will delight customers at launch. Native C/C++ and Qt developers can use BlackBerry® Cascades™ to build visually stunning applications that offer deeper integration with core feature elements, such as BlackBerry Hub, than any other mobile platform today. HTML5 developers can use BlackBerry® WebWorks™ to create compelling and rich web applications for BlackBerry 10 devices that deliver native-like performance and take advantage of core integration as well. BlackBerry 10 tools are also available for building with Adobe® AIR® and porting Android® applications to the platform. Over the past few months, developer outlook toward RIM has improved broadly and significantly. According to a recent Pivot Point Research survey commissioned by RIM*, 58% of developers surveyed would recommend BlackBerry 10 as a development platform, a 123% increase from May to October, 2012. The survey also found a steady increase in satisfaction with the BlackBerry 10 platform among developers, growing by 56% over the same period. "Working with BlackBerry 10, we have realized the true potential of a platform that offers maximum flexibility for building apps quickly without compromising on performance. The seamlessness with which one can to do deep integration with device features and also use web technologies is simply amazing. BlackBerry 10, along with the security and connectivity of the BlackBerry platform, offers immense scope for developing consumer and business applications. We are quite excited about the potential that has for applications in the mobile payments space." – Deborah Drisdell, General Director - Accessibility and Digital Enterprises, National Film Board of Canada. I just want the core apps first. All other useless apps can follow suit.